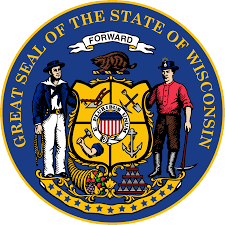 On Thursday, Wisconsin state agencies submitted their 2017-19 budget requests to Governor Walker. Marking the first significant step in the state’s budget process, these requests will be used to develop the initial framework for the Governor’s budget proposal set to be unveiled early next year. Following the governor’s directions to maintain current spending levels, agencies were tasked with finding innovative ways to fund new projects while eliminating underused and idle programs. Already causing controversy, the Department of Transportation (DOT) adhered to the governor’s request by delaying large projects in southern and south-eastern Wisconsin. Specifically, the DOT proposal delays completion of the Zoo Interchange project in Milwaukee County, the I-94 expansion in Racine and Kenosha Counties, work on 18/151 Verona Road in Dane County, and two other projects. This results in over $400 million cut in major highway projects and southeast mega projects. In turn, local governments will receive $65 million more than they currently collect in this budget cycle. The proposal also includes $500 million in bonding, which is $350 million less than the bonding approved in the current budget. Initial reactions to the DOT request from legislative leaders indicate changes will likely be made as the process continues. The Department of Health Services took a different approach, requesting a total increase of $452,611,600 GPR, $249,022,200 PR, and $556,329,400 in federal dollars as well as a $56,490,000 decrease in SEG funds to cover the ongoing costs for Medicaid. This increase would assist the department in managing the continued influx of Medicaid users as well as funding the FamilyCare program. These requests are just the first step in a long budget process. Over the next few months, they will be reviewed by the governor and possibly incorporated into his budget proposal. The Governor will unveil his budget to the legislature during the biennial budget address early in 2017. The legislature will then have the opportunity to amend it before passing a final budget into law early next summer. To see every 2017-19 state agency budget request, click here.